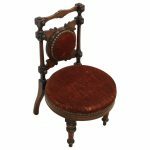 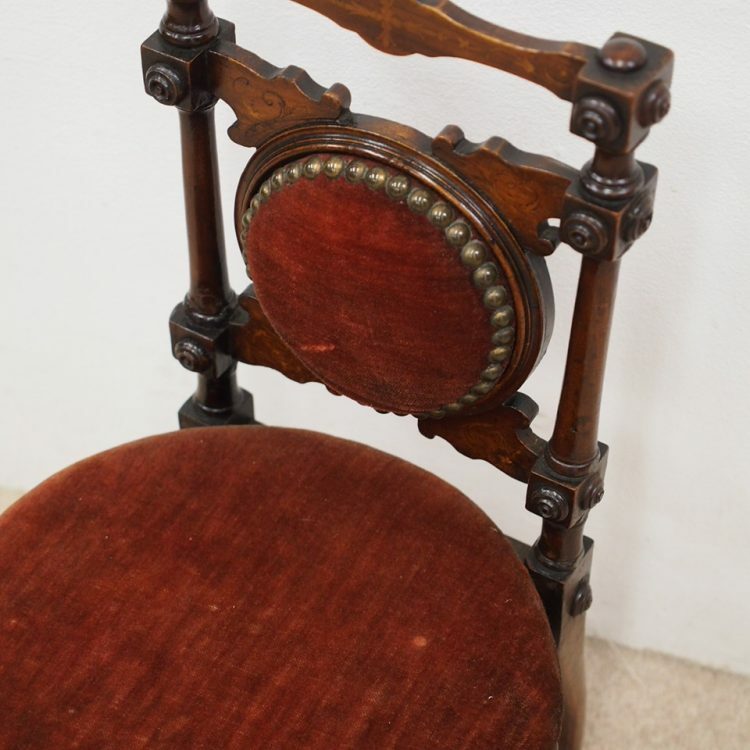 Circa 1890, Late Victorian inlaid mahogany child’s chair. The shaped inlaid top rail sits over a circular upholstered panel with inlaid brackets, supported by turned uprights with block and roundel decorations. 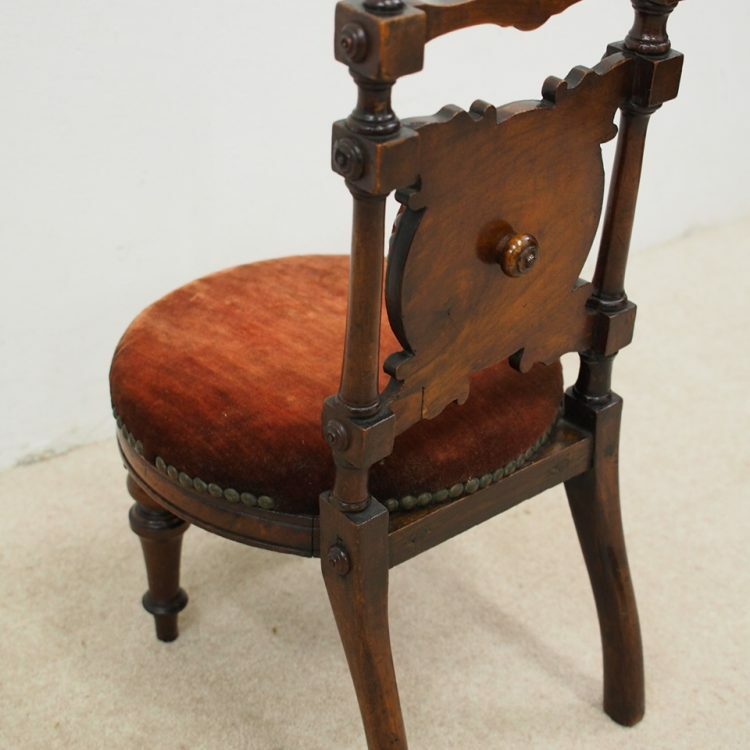 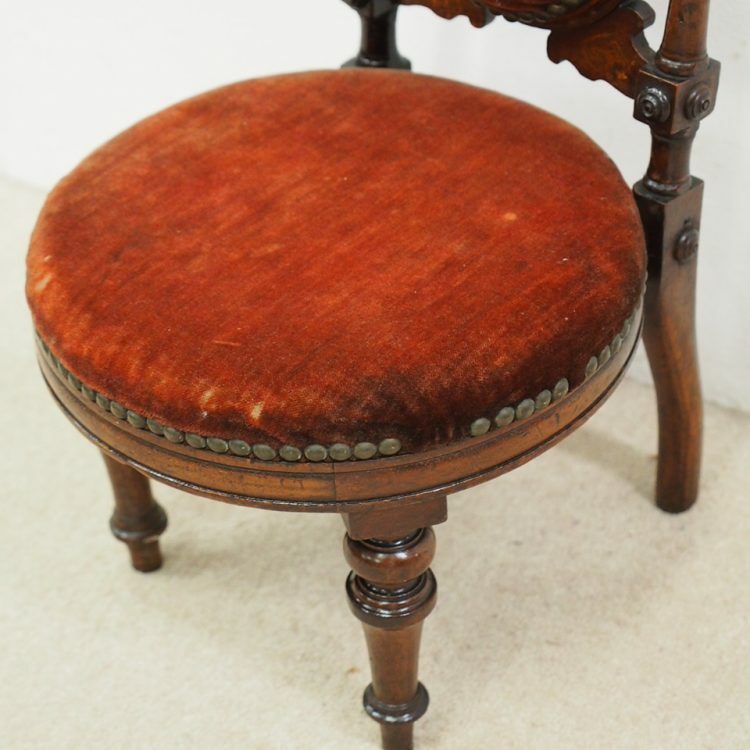 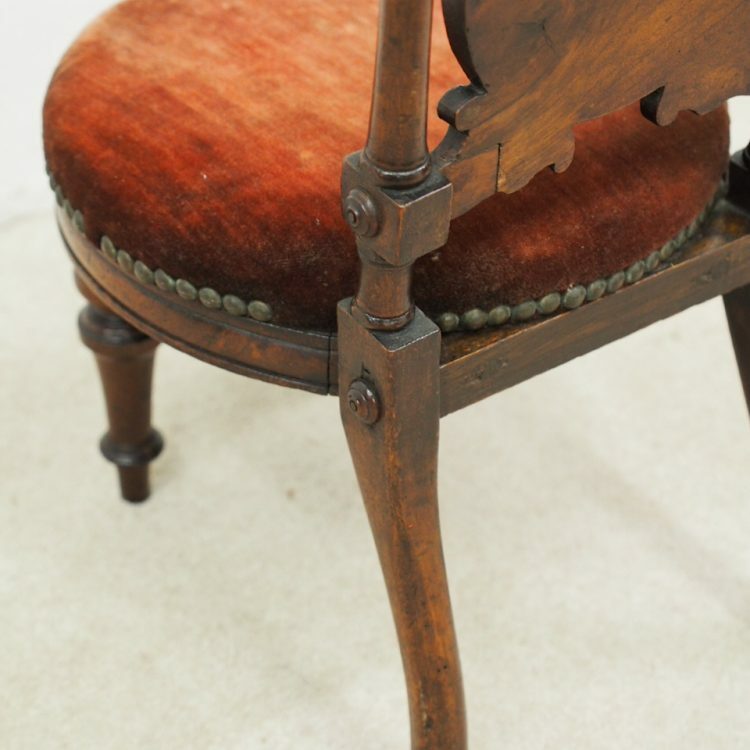 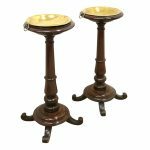 The circular seat with a moulded mahogany rails is over neat, turned feet to the front and splayed rear feet.